Healthcare in 2018 is entering a new world where ‘archipelagos’ of care are no longer practical. Growing populations, complex co-morbidities, changing reimbursement models, and funding pressures are making a more consistent, integrated approach a necessity. All of this means that fragmented ways of working and operational inefficiencies are now very much under the spotlight. This latest report from leading analyst, Frost & Sullivan, explains why Care Pathway Management signals a fresh, agile approach to care plan delivery, enabling providers to unify care teams, improve care consistency and lower costs. 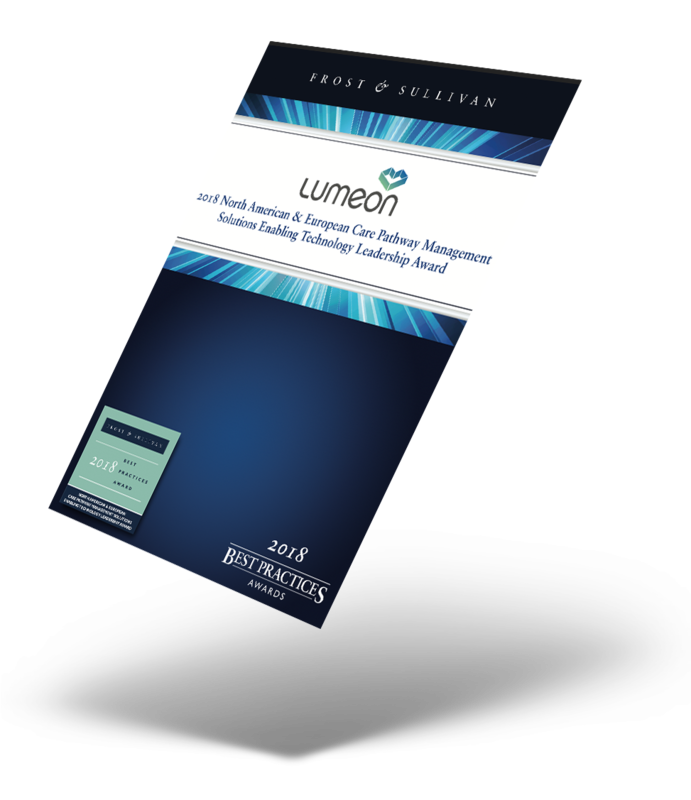 Lumeon has been recognized as the industry leader of this category, winning Frost & Sullivan’s Enabling Technology Leadership Award with its innovative Care Pathway Management platform and suite of solutions. To receive your free copy of the report, please enter your details below. The Enabling Technology Leadership Award is presented to a company that has developed a pioneering technology that not only enhances current products but also enables the development of new products and applications. Independently evaluated by Frost & Sullivan analysts, entrants in the 2018 North American and European Care Pathway Management Solutions category were judged against criteria including commitment to innovation and application diversity as well as customer impact, including price, value and customer experience.